Jenelle Evans Responds to Kiki Challenge Criticism: Quit Hatin’ on My Twerk Game! 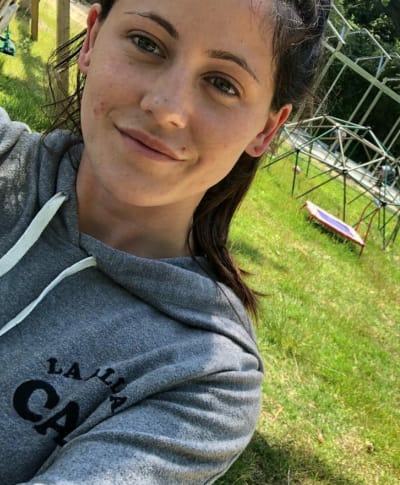 Jenelle Evans has spent her entire adult life in the public eye, and for much of that time, she’s been the subject of near-constant scorn and derision. You would think she’d be used to it by now, but Jenelle still takes every bit of criticism to heart. Just last week, for example, the denizens of Twitter suggested that Jenelle might be too dumb to homeschool her kids, and the Carolina Hurricane absolutely lost it. Of course, in the ensuing, incoherent Twitter tirade she basically proved them right, but that’s beside the point. You might think that after an embarrassing debacle like that, Jenelle would give up on clapping back, but still, she’s persisted. 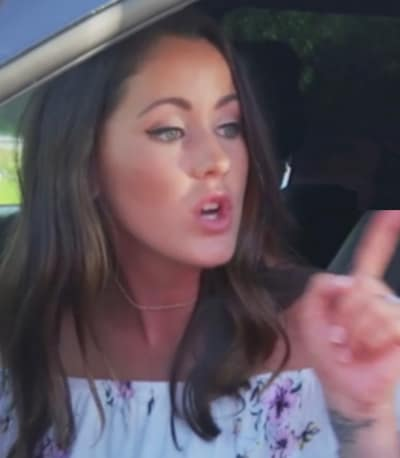 This week saw Jenelle once again butting heads with Teen Mom 2 fans during an Instagram Q&A. You might remember this group interview as the occasion on which Jenelle revealed that Farrah Abraham made her famous. It also featured a portion in which Ms. Evans revealed that she’s done having kids, so really, this thing was just chock full of highlights. At one point a fan asked about Jenelle’s “Kiki Challenge” video. Yes, for reasons that defy explanation, Jenelle randomly pulled her car over, got out on the side of a busy road, and proceeded to twerk in front of her kids. You can see why the video might still be on the mind of some fans, and one viewer basically asked Jenelle what the hell she was thinking. “Is it a crime to have fun? Lol. I ignore the negative vibes tho,” Jenelle wrote. Hmm … pretty boilerplate response, but as usual, it seems Jenelle didn’t really think this one through. To answer her rhetorical question — no, having fun isn’t a crime, but dancing in the street totally is. And it’s not like one of those silly outdated laws that gets on everyone’s nerves. “No dancing in the middle of the street” is a totally solid rule that should be fully enforced by all local and state authorities. On the plus side, we guess Jenelle’s dance moves aren’t all that bad. As for the decision to twerk in front of her kids, well — it’s a little weird, yes, but this is Jenelle Evans we’re talking about. That doesn’t even crack the top 100 of ways she may have messed up her kids this year. Hell, it’s not even the worst way that she’s traumatized them while they were in her car. View Slideshow: Jenelle Evans: Myself is Very Qualified to Homeschool My Kids! Paris Jackson: Shows Off Tats, Sideboob in Flower Photos! Next story Kylie Jenner and Travis Scott: Planning a HUGE $30 Million Wedding?! Previous story The Walking Dead Season 9: What’s About to Go Down?